Motivation is defined as the process that initiates, guides and maintains goal-oriented behaviors. 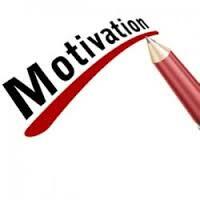 Motivation refers to an activated state within a person that leads to goal-directed behavior. It consists of the drives, urges, wishes, or desires that initiate the sequence of events leading to a behavior. It can also be said, motivation is the driving force within individuals that impels them to action. The driving force is produced by a state of tension, which exists as the result of an unfulfilled need. The specific goals they select and the patterns of actions they undertake to achieve their goals are the result of individual thinking and learning.